Dress up any outfit with this black polki necklace set. 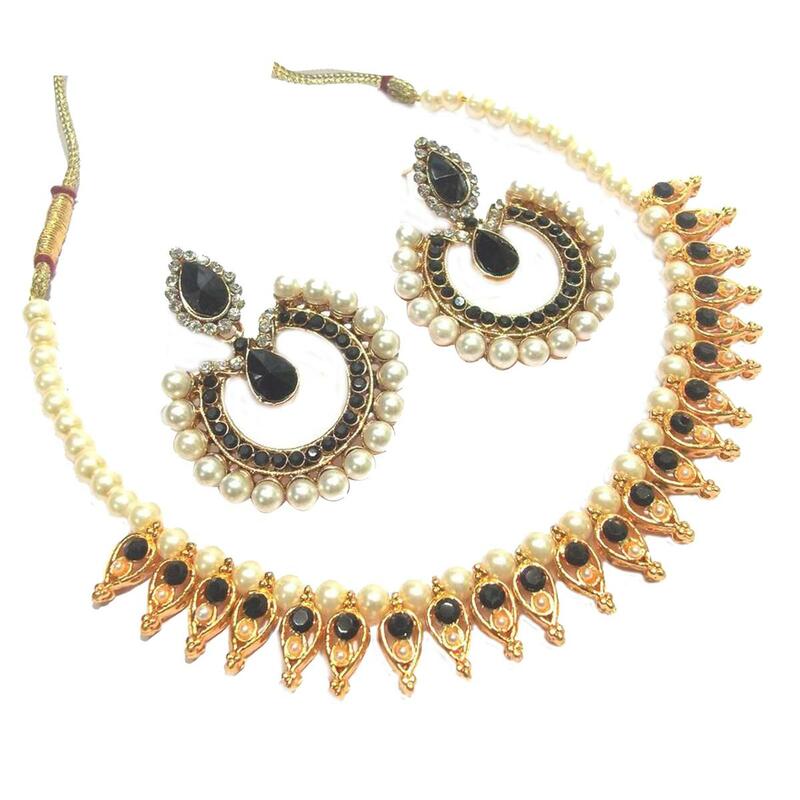 This black kundan with pearl and golden ball makes this necklace look rich. Pair it with traditional & modern outfit to make your look more stunning. Material Used : Pearl, Kundan.